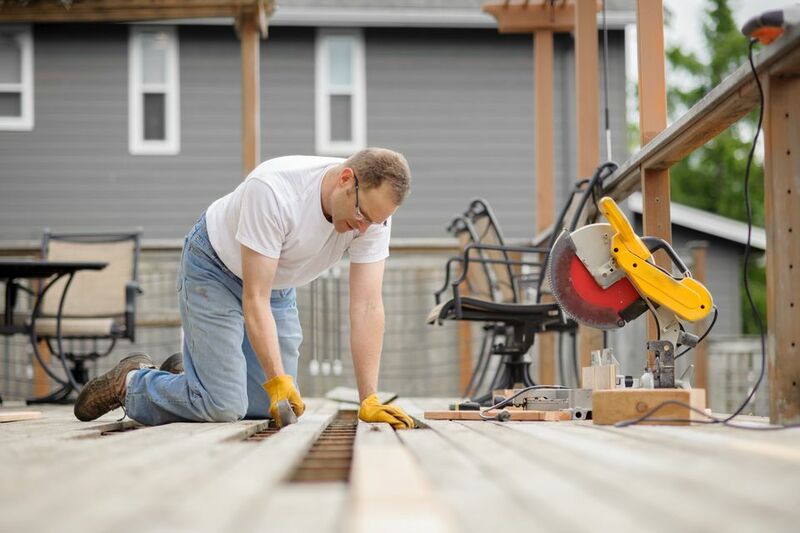 The most difficult part of building a deck may be planning and designing the project. You've decided that it's a deck and not a patio you want to build and that you want to use real wood or synthetic decking. But determining where the deck should go, how large it should be, whether it should connect to the house or be free-standing are all important considerations before jumping into the project. The free or low-cost deck plans we have researched and assembled will hopefully serve as a springboard, helping you to define what you want and where to go from there. Excellent, clear instructions and detailed drawings are included in this download for a freestanding deck from the California Redwood Association. The deck is a standard 8' x 10' and recommended knotty redwood garden grades to use in this project are Construction Common or Deck Common. The plans also allow you to attach the deck to a house and include a railing. What: If you are a beginner at this do-it-yourself, thing, a starter deck is a pretty straightforward project to kick off with. Plans downloaded from DecksGo share construction tips and techniques for a basic rectangular deck with concrete footings and the Titan Deck Foot Anchor, which is sold through the website. Sizes for this particular project range from 14 x 10 feet to 14 x 20 feet. What: Simpson Strong-Tie, the company that makes building products like fasteners, wood connectors, and integrated component systems offers deck-building plans on its website. Projects you can build via the Simpson Strong-Tie Deck Planner Software include this half-round deck. It includes 2D/3D layouts, a construction guide, materials list, permit information, and beam layouts. What: A wood deck built over an existing concrete slab or patio. A plain concrete slab in your backyard can be an eyesore, especially if it's cracked, is in a weird location or doesn't tie-in with the rest of the yard. One of the easiest and results-oriented ways to deal with that unsightly slab is to build a deck on top. The concrete is a solid raised foundation upon which to build a beautiful redwood deck. Attach construction heart or deck heart redwood 2 x 4-foot sleepers to the concrete slab. Nail 2 x 4-foot or 2 x 6-foot construction heart or deck heart decking to the sleepers. What: a composite deck that you can adjust according to your needs. 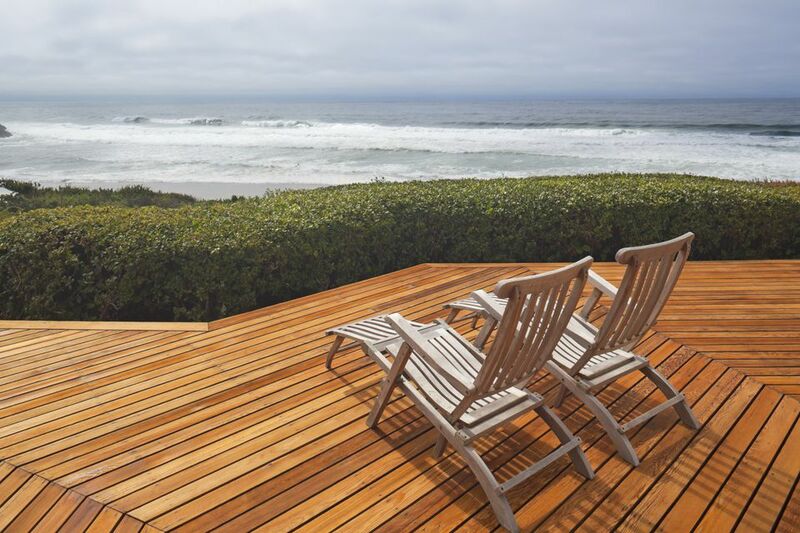 TimberTech makes composite and PVC decking, and offers consumers a full-experience website that allows them to peruse a gallery of deck designs, decking products, and a color visualizer. The online 3D Deck Designer tool allows you to play around with the size, shape, and color of your deck, along with adding details like stairs, levels, and railings. To make it work, you will need the approximate shape and dimensions of your desired deck before creating in the Deck Designer tool. Designs come with a materials and cut list. Using precise dimensions will improve the accuracy of these lists. What: The Prescriptive Residential Wood Deck Construction Guide is a comprehensive guide to basic deck building with minimum code standards. The AWC walks you through the requirements and limitations of constructing a wood deck and explains things in detail along the way. You'll learn about beam sizes and assembly, joist-to-beam connections, wood species and decay resistance, post requirements, and much more. The plan, which can be adapted to any size deck, includes charts and diagrams, including an excellent deck framing plan. What: SmartDraw offers a free one-week trial to explore and experiment. You can design a deck, like this Deck No. 1, along with landscape and irrigation plans. Are you proficient at using Microsoft Office? SmartDraw integrates with products like Word, PowerPoint, and Excel. What is the Best Way to Install Wood Deck Boards? Latex or Oil Stain: Which Is Best For Decks, Fences, and Siding?